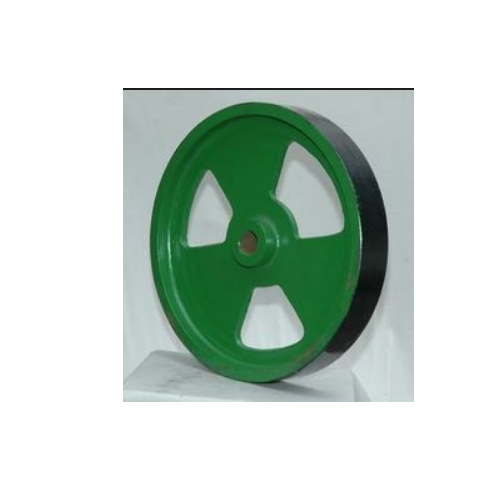 We are one of the most trusted names in the industry engaged in manufacturing and supplying a comprehensive range of Lister Fly Wheel. These wheels are widely appreciated by the clients for their durability, precise designing, and many other features. Our range can be availed in different dimensions and grades suiting best with the demands of our clients. Our range can be availed at reasonable rates for expansive applications. We "Bhoomi Casting", establish in 1994 have experience of many years to offer products in market. We have been ranked as an illustrious manufacturer, trader and supplier of a broad gamut of Railing and Casting Products. Besides, we also offer CI Pipes, Standard CI Casting and Advanced CI Casting. These products are manufactured using high-grade raw material under the supervision of our experienced professionals. Our products are highly acclaimed in the industry owing to their features like sturdy construction, durability and precision engineering. All our production activities are dexterously executed at the robust infrastructure facility, we have constituted. Outfitted with all the advanced sophisticated tools and machines, this facility helps us in manufacturing flawless product. With the support of our sedulous team of professionals, we are able to accomplish all the business operations within specific time-period. We have established a broad client base across the country leveraging on the hard-work of our professionals. Furthermore, we have also constructed a sound warehousing facility for the storage of the products in a systematic manner.